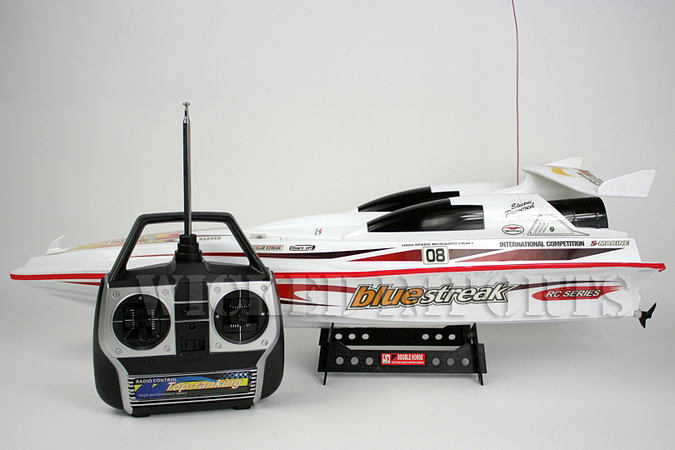 This radio controlled boat is powered by two 380 type racing motors giving it a tremendous amount of torque and thrust. 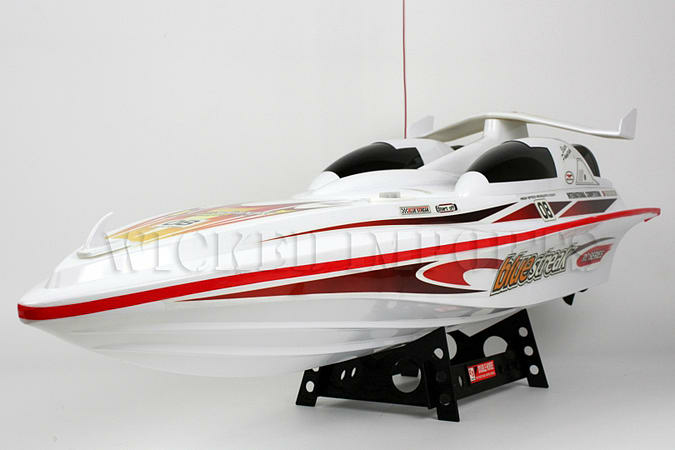 The high gloss polycarbonate plastic body gives the boat a great look and added durability. This racing boat is approximately 28 long (720mm) and with its advanced, vector-push design, it can reach speeds of up to 25mph, depending on water conditions. Once the batteries are installed and charged up, the the boat is ready to go - straight out of the box. The boat comes with a two-stick transmitter, 7.2v rechargeable battery pack, AC adaptor, and dry-dock display stand. The transmitter requires 8 x AA batteries for use. Safety Precautions: We strongly recommend adult supervision when playing with this RC boat. Never touch the propeller while in motion. It can cause serious injury.